Born in Manhattan, NY to parents, Michele Cavaluzzi and Antionia Sollecito. Leo (a resident of Davidson, NC) was predeceased by his brothers, Louis, Frank, Rocco, Peter, Daniel and Michael and sisters, Lillian and Della. He is predeceased by his loving wife of 69 years, Lorraine who passed in May of 2016. Leo is survived by his children, Lenny Cavaluzzi, of Palm Coast, FL and Linda Barrick, of Davidson, NC. He is also the proud grandfather to eight, has nine great-grandchildren and three great-great grandchildren. 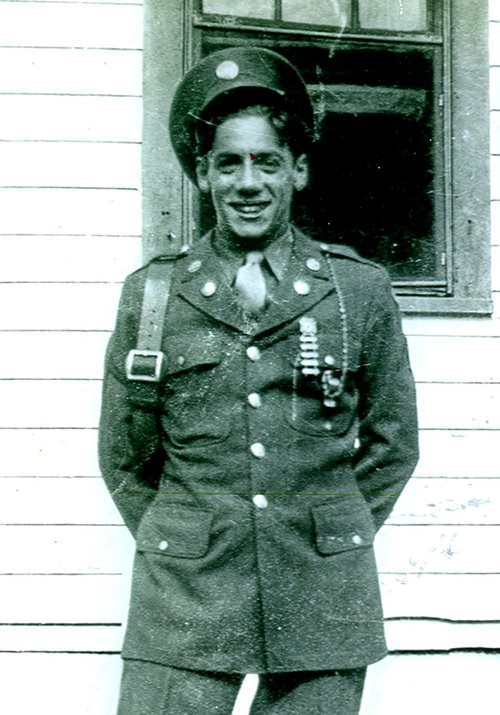 Leo served in the Army 276 TH Infantry regiment and received an Honorable Discharge in 1946. He was a decorated veteran receiving the following medals; EAME Service, WWII Victory, Combat Infantryman Badge, Good Conduct, American Campaign, Army of Occupation, Bronze Star Medal and a Purple Heart. He moved his family to Brentwood, Long Island in 1950 where he shared his love of the water, boating and fishing with family and friends. Leo worked for the State of New York D.O.T. as a member of a Tree Crew and later taught others how to drive snow removal equipment. He took advantage of “early” retirement to travel throughout the country before settling in Palm Coast to pursue his passion for fishing and water activities. Services: A Celebration of Leonard and Lorraine’s life together is planned for May of 2018. Family will announce details. Condolences: Raymer-Kepner Funeral Home and Cremation Services at www.raymerfh.com.